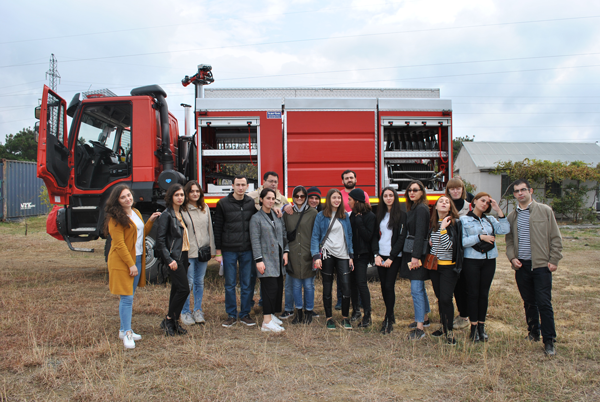 Guram Tavartkiladze Tbilisi Teaching University Business Administration and Social Sciences Faculty Journalism Specialties Students within the scope of workshop of Journalistic Master of Arts ("Extreme Journalism") visited Emergency Management Service Base located near Tbilisi Sea for the preparation of field report. The students fully viewed the infrastructure on the base. Head of Emergency Management Service Giorgi Dzagnidze introduced future journalists with detailed information to the specifics of the Emergency Management Service and at the end of the meeting he answered the students' questions.